What to do, what to do on an oddly rainy winter’s day? Chewy.com to the rescue! They sent us this fun game to try out. I didn’t set out to make it into a competition, but after one dog clearly smoked the others in figuring this one out, I had to declare a winner – so who was the smartest? Not who ate it all the fastest, but who figured out how to open the covers for easy access to the food first? This one is just for fun, so make your guess as you scroll down and read through, the answer will be at the end! Is Luke the smartest? We know he’s a whiz at tricks! I can tell you these things: both Cricket and Luke stuck their noses in the top at some point, where you dump in the food or treats. We used our grain free samples from Chicken Soup for the Soul Pets, because they all loved it so I figured it would motivate them. Those hound dog noses easily figured out where it went in. Is Cricket the smartest? She does have that beagle nose! Cricket also shows you here the convenient holes that let the smell out. Though as you might be able to see….the crew all thought these holes were there for sticking their tongues in to hoover the kibble out! I don’t think that was the intention with this toy, but it worked for all of them. They figured out that was the slow way to do it though. Sheba was reluctant to give up her ball in order to check it out all at first, I think it took her a minute to catch on that there was food in there. She was especially persistent about hoovering it out with her tongue, even after she knew how to open it. Maybe that was just more fun for her? This toy is probably simple for a lot of dogs, but the crew all had fun with it. It comes apart easily for cleaning, though I just rinsed it out under the faucet through the hole in top. It does have rubber feet, but it still moved around some, though Luke seemed to be the only one that really had trouble with that. The girls must have been more gentle. Is Sheba the smartest? She really knows how to get that tongue working for her! So who’s the smartest one? Cricket figured out how to open those covers in literally about two seconds; before I could even get the camera ready! That was the first shot I took. Luke and Sheba took each took about a couple of minutes, and I had to help them along a bit by showing them the covers opened. I probably should have been a little more patient before helping them! Chewy.com sells a huge variety of toys, games, treats, and food for your pets, along with just about anything else you can think of. This game seems to be currently out of stock, I think it might be a manufacturer issue, but you may be able to find it other places for now. I’m waiting to hear from my contact and then I’ll update this once I know for sure what’s going on. **Update – item is just currently out of stock and will be back in stock in 1-2 weeks. ** They have several other Outward Hound games to choose from though, if you need something to occupy your dogs on a rainy or snowy day this winter! As always, Chewy has super fast shipping (free over $49) and impeccable customer service; so check them out for all of your pets’ needs! *Disclaimer: We are a #ChewyInfluencer and we received this Outward Hound game to review from chewy.com, but were in no other way compensated for this post. All opinions are our own. You know me – I’m a true Luke fan, but I’m happy for Cricket. LOL I guessed Cricket. Beagles are pretty smart when it comes to things like that. I recommend puzzles and puzzle feeders to my clients to use as regular feeders at mealtime. 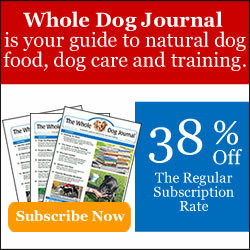 It slows down a dog’s eating, and gives them a little mental workout all at the same time. If dogs are on their own in the world, they have to problem solve feeding themselves, and these types of toys can help with a dog’s problem solving skills! Yay Cricket! We’ve tried a few puzzles and Barley usually figures them out quickly, but until she realizes that doors can slide or lift, she’ll hit them over and over again with her paw and send them sliding around the room. I was surprised these guys were all so patient with it. The last game we played had removable parts, so Sheba just kept stealing the parts and walking away with them! Toys that are easy to clean are key!! And keep them busy and interested!! I couldn’t agree more. If it’s difficult to clean, I’M the one that will lose interest….LOL. I really miss having food toys for Honey. We’ve always fed her using them from her very first days as a puppy. But it’s not a good idea to have bits of food flying around when we have openings in the floor that lead to important equipment. I can just imagine our bilge pump not working because a piece of kibble got caught under the float switch and us sinking the boat. Your dogs are all so gentle with it. My Bentley wouldn’t have thought about opening a lid, he would have just bitten the entire thing to pieces! Ah, I guessed Luke cause of his ability to open stuff, the tricks he’s learned-I forgot about Beagles noses and love of food!! Smartie Cricket! We knew it would be Crickett. Beagles are really smart…and love their treats! We love our kibble drop! My bet was going to be on Luke! Mr. N also figured out it instantly. That beagle nose won the day! Awe, sorry about the rain!! We do a lot of puzzle toys on rainy days, too! We have enjoyed playing with our Kibble Drop too. Bentley turns in a circle with it. My puppy loves this toy. It’s cute how each of your dogs took turns playing with the Kibble drop. I was going to say Sheba because Shadow always figures those toys out pretty quickly…but I’d forgotten about Cricket’s hound nose. Of course a purebred Beagle is going to figure it out within seconds! Oz loves those kind of toys and he figures them out pretty quick…and then figures out how to cheat! Oz gives Cricket high paws for figuring out that toy so quickly! We don’t get those toys anymore because Bailie picks them up and shakes out the treats. She likes to cheat 😉 Looks like your pups play well with it. You two together would definitely make a rainy day sunny, Easy! Thank you for sharing!! We’re headed for a frigid spell this weekend, so the toy might be coming out again! That’s a cute toy – BRAVO for Cricket being the quickest learner with it!